Pimple vanishes soon if it dries up quickly. To do so use cinnamon powder and honey paste. 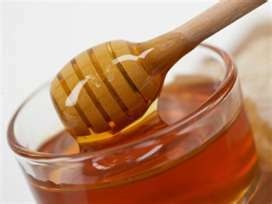 Take 2 teaspoon honey and ½ teaspoon cinnamon powder. Blend both nicely. Apply this paste on well cleaned pimple and skin around it in the night before sleeping. Next day morning clean it up with lukewarm water. Use it every night for one week. Pimple shall dry up shortly and shall be departed from the face.